The Order of Malta has been a religious order since 1113, the year it was recognised by Pope Paschal II. As a religious order, it is linked to the Holy See, but at the same time it is independent as a sovereign subject of international law. In this respect the religious character of the Order of Malta coexists with its full sovereignty. The Grand Master is at the same time head of a sovereign entity and head of a religious order. In this second capacity the Holy Roman Church gives him the rank of cardinal. 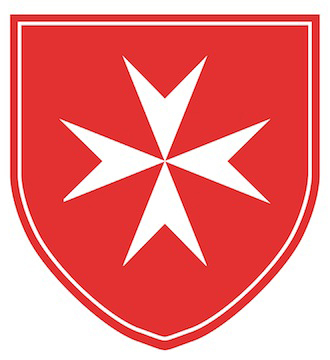 The Order of Malta is a lay religious order according to Canon Law, where some of its members are religious – they have professed the three vows of poverty, chastity, and obedience – and others have taken a special promise of obedience, pledging to follow Christian principles more profoundly while living in society. The great majority of the knights and dames are lay members. The Grand Master of the Order of Malta is elected from among the Professed Knights of Perpetual Vows. The eight-pointed cross which symbolises the Order represents the eight Beatitudes and is thus a visual memento of its spirituality. According to the Constitution, members of the Order of Malta are required to maintain exemplary Christian behaviour in their private and public life, contributing to the maintenance of the Order’s traditions. The Pope appoints a Cardinal as his representative to the Order of Malta, the Cardinalis Patronus, whose duty it is to promote the spiritual interests of the Order and of its members and to maintain relations with the Holy See. The Pope also appoints the Prelate of the Order of Malta from the three candidates proposed by the Grand Master. The Prelate is the ecclesiastic superior of the Order’s clergy. The Order of Malta remains true to its inspiring principles: witnessing the Faith and service to the suffering. Its members share the same vocation and strive together for solidarity, justice and peace, based on the teaching of the Gospels and in the closest communion with the Holy See. They are involved in active and dynamic charity supported by prayer.